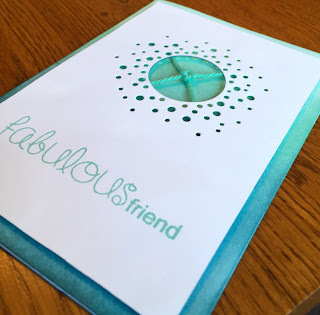 I feel deliriously excited today, as this is my first post as a member of the Design Team at As You See It, which is also my first DT membership! I also feel very honoured to join such an innovative challenge team and look forward to the very exciting weeks they've got lined up for the rest of the year. This week's challenge is an assortment challenge: a kind of grab-bag of elements that must all appear in some way in the finished card. 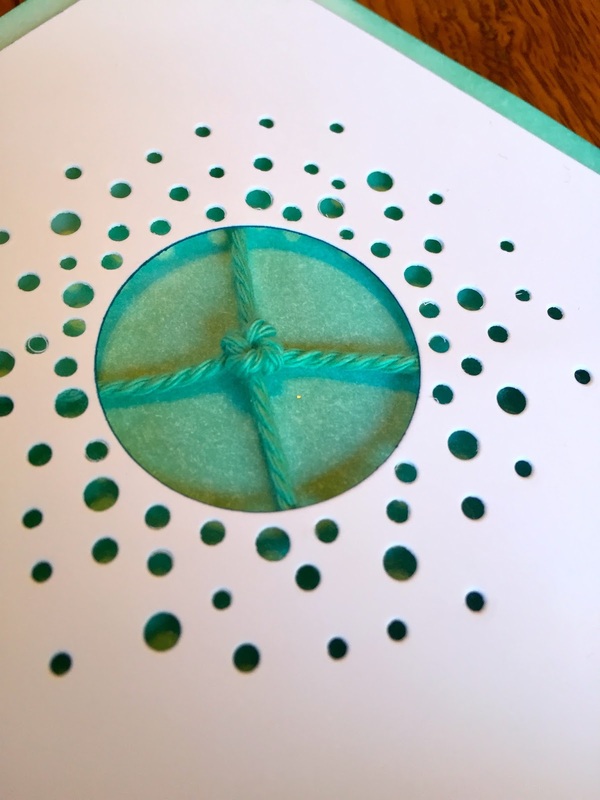 The knot element got me casting my mind back to the dim past and my Girl Guiding days, and from that nostalgia trip came the idea of using the friendship knot as the focus for a friendship card. Thank goodness for YouTube because the finer points of knot-tying have long since been expunged from my memory! 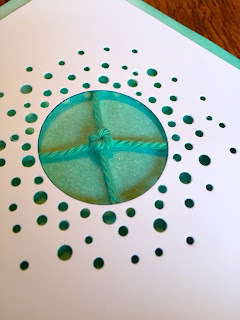 Negative space in the cutaway of the white panel, the circles are in the die, the ombre in the shaded background of the cardbase - the lightest colour in it is Pool Party, and the knot is in the Friendship Knot. 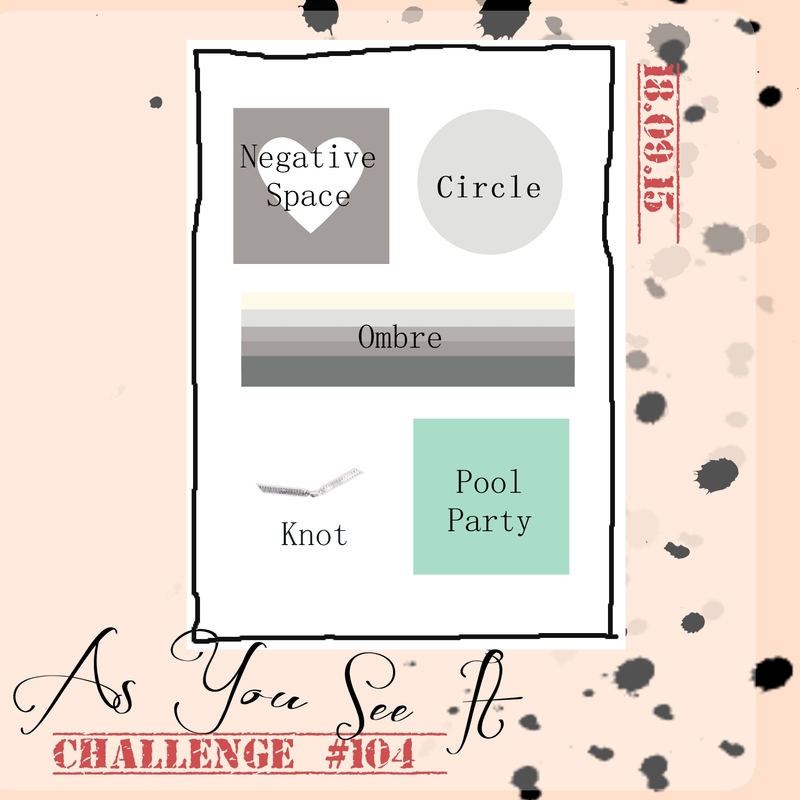 Other: SSS Confetti Circle die, Coastal Cabana thick twine, dimensionals, sponges. Love this simple but very effective design! The knot is the perfect touch, especially with that sentiment. Very cool die cut for the negative spaces! So glad you are on the team. So fantastic Jan!! You did well remembering your Girl Guide days and the knot. When I look at all the things to include in a card for this challenge it overwhelms me but you fitted it all in with no worries at all. Love the colour and the knot is so perfect in the middle. Enjoy yourself as DT, such a wonderful feeling, especially your first one. I don't think you will ever forget it!! Thanks. It's a very special moment and a great feeling!